WINE & WEENIES for the WIN! 100% chance of WINE, WEENIES & WINNING! 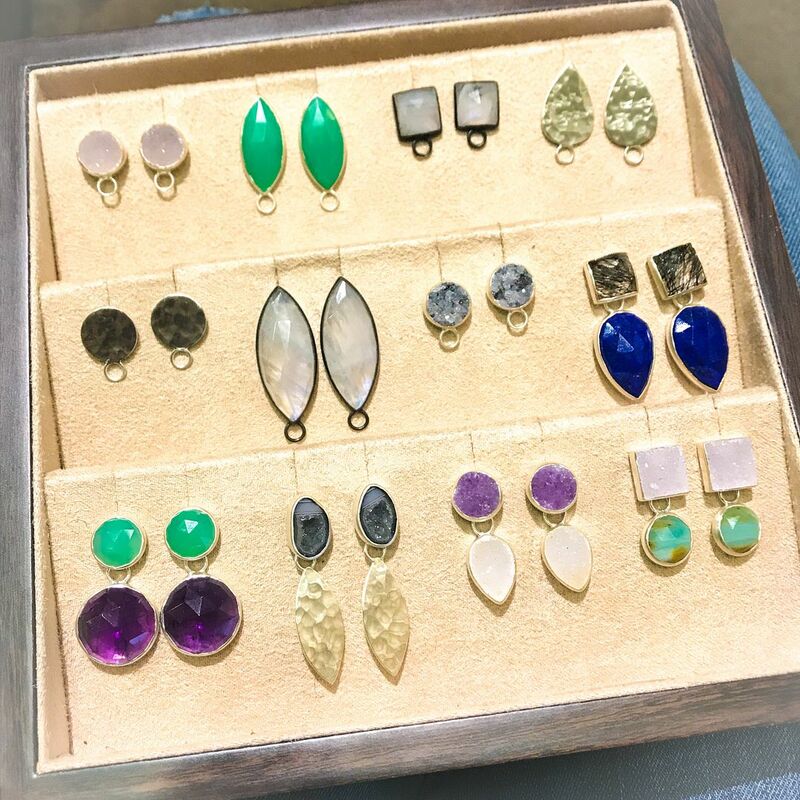 from Lumina Gem & Home Again, plus free cookies from Apple Annie’s and free classes at Pure Barre. Happy Memorial Day…enjoy the show! Just a note…we will be CLOSED on Monday. This is your LAST chance to grab one of these great spindle chairs…they have been discontinued by the maker. Just $425 each, 26.5×28.5×36.5”h. Rustic green cabinet $495, 48x15x42″h. Floral art $195, 40.25″ square. ETHAN ALLEN king poster bed $1295. Turquoise lamps $52 each, 28″h. Pink blossom art $72, 40×24″h. Slate grey swivel chairs $375 each, 29x5x33.5×33″h. Look at the great finish on this farm table with 4 chairs and bench for $995, 72x37x31.5″h. Navy ceramic lamps $145 each, 28″h. Blue/gold abstract art $225, 47×35″h. Faux bamboo and marble tray $86, 22x14x2.5″h. Wooden lantern $52. This 2-door cabinet is brand new, but has a rub in the finish so it’s priced AS IS at $245, 43x20x35″h. Large cream lamp $125, 33″h. Blue and green abstract $175, 41.5″ square. Just in…emerald velvet sofa by MAGNOLIA HOME. $975 89x38x36″h. This won’t last. Top, barn door media cabinet with barn door $595, 60×17.25×34.5″h. Craftsman made wooden benches with black modern steel legs. (top) $125, 40×15.5×19″h. (bottom) $95, 40x12x17″h. Clockwise, Turquoise bird lamps $125 each, 35″h. Blue glass lamps $95, 28″h. Pineapple lamps $145 each, 34″h. Blue and white ceramic lamps $125, 28″h. Gold ball lamps $95 each, 33″h. Tall gold and ivory lamps $145 each, 43″h. without a place to store your wine? Wooden glass door cabinet $375, 21.5x15x67.75″h. Tall wine cabinet $350, 24x`15×71″h. Blue bookcase with shell cutouts $125, 24x12x74.5″h. Full-size bed with twin trundle bed $695. Newport Cottage nightstands $245, 28×20.5×31.5″h. brand new and only $345, 38x16x32”h. Yaaassss. This brand new outdoor sectional is just in and it’s just perfect. $2295, 100×100” – comes with coffee table. SUPER COOL wormwood dining table, a STEAL at $535. 84x40x30 Two matching benches $356 each, 84w15dx18″h. Notice the cool industrial black supports, too. Cowhide rug $275. When I go to High Point market, there is one showroom that always stops me in my tracks…the over-the-top FABULOUS chandeliers by Louise Gaskill. Imagine my delight when we got some of her beauties on consignment! (bottom right) This would sell in her Raleigh studio for at least $2-$3000…our price is just $795, 17” diameter x 31”h. (top and bottom left) This Louise Gaskill chandelier also retails for $2000+, our price just $795. 20×31”h. Blue fish cabinet $345, 33.5×15.5×37″h. Black mirror door chest $325, 36x16x40″h. Beige chest $325, 36x16x31.5″h. brand new for $425 ea. 28w34.5dx36″h. (left) In solld wood $355, 44”w x 84”h. (right) $265, 40”w x 80”h. just $145 each, sold in pairs. on consignment and just $125 each, 24”h. Just 5 left…30″ blue-green stools with natural seat, $95 each. High end for less…MUCH LESS. BAKER wood and leather mirror now just $125, 31.5×52″h. rush seats just $42 each. Not sold separately. SWIVEL GLIDER for just $425? 38”W. and only $72 each, 24”h. Just in on consignment – Michele Deco watch in stainless steel only $495. 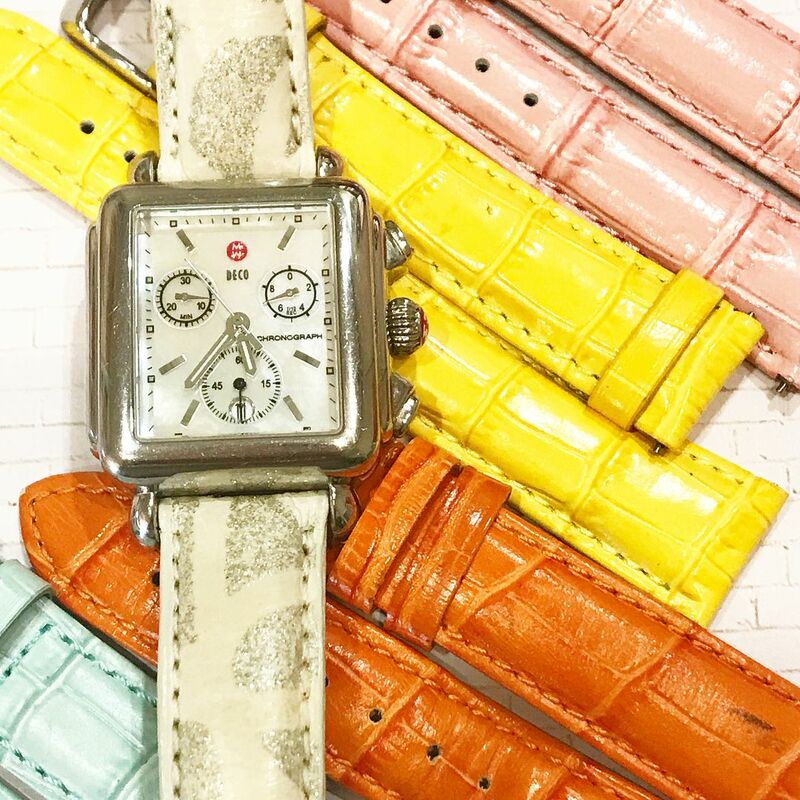 Get additional Michele bands starting at just $30 each. 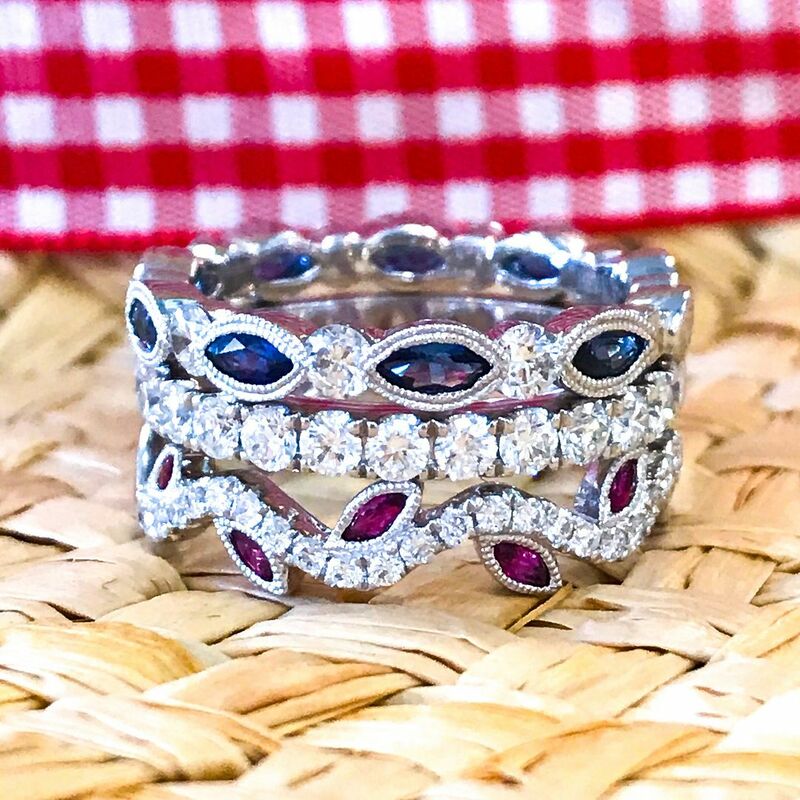 Slane stackable bands. 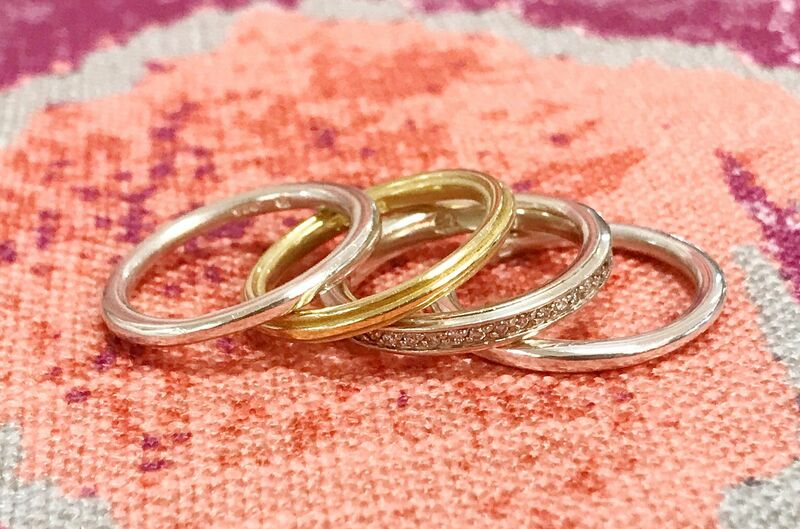 Two plain sterling silver, one column 18ky gold, one diamond and sterling silver eternity band, $995. 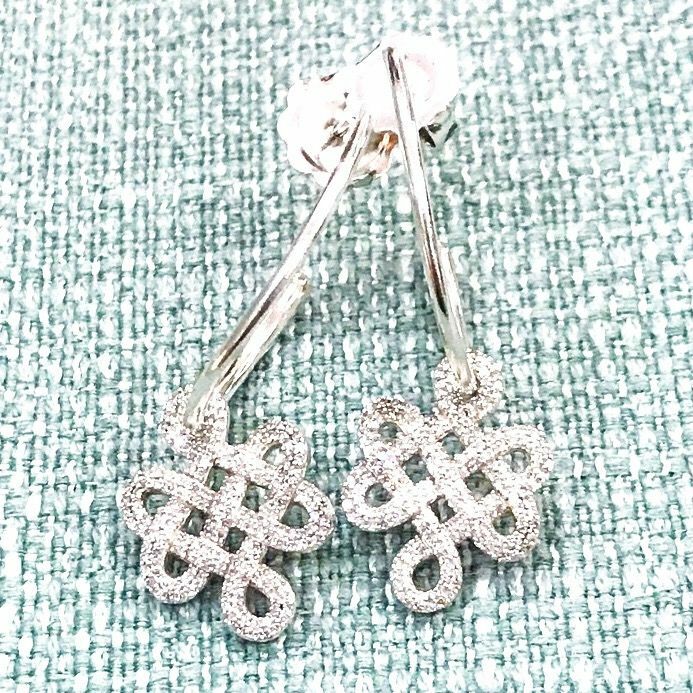 Slane diamond infinity knot hoops in sterling silver, $995. 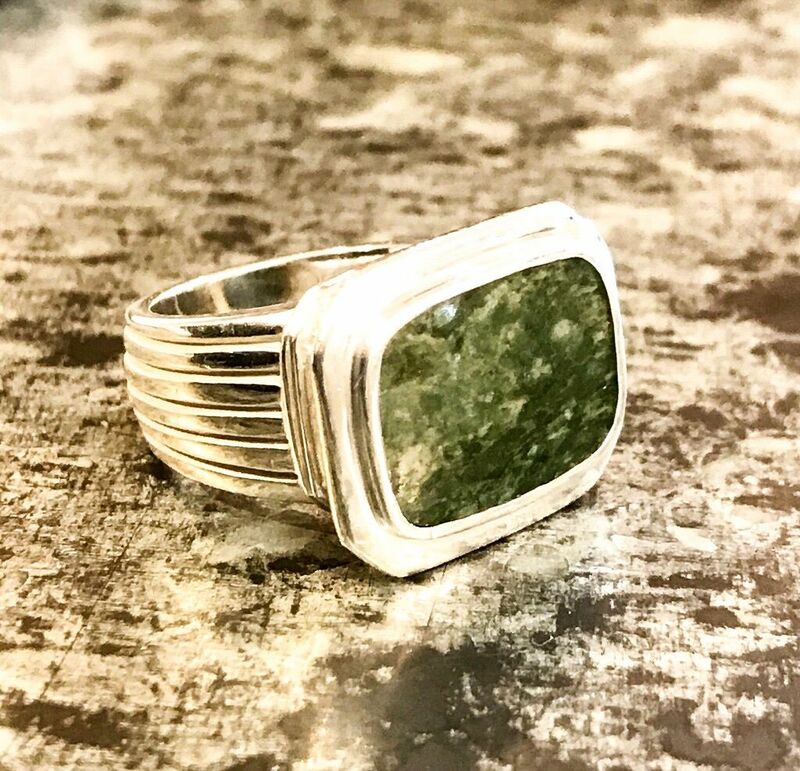 Slane sterling silver and green onyx ring, $295. .15ctw diamonds in 14kw gold band, $1025. We’re still OBSESSED with this last shipment of Nina Nguyen. 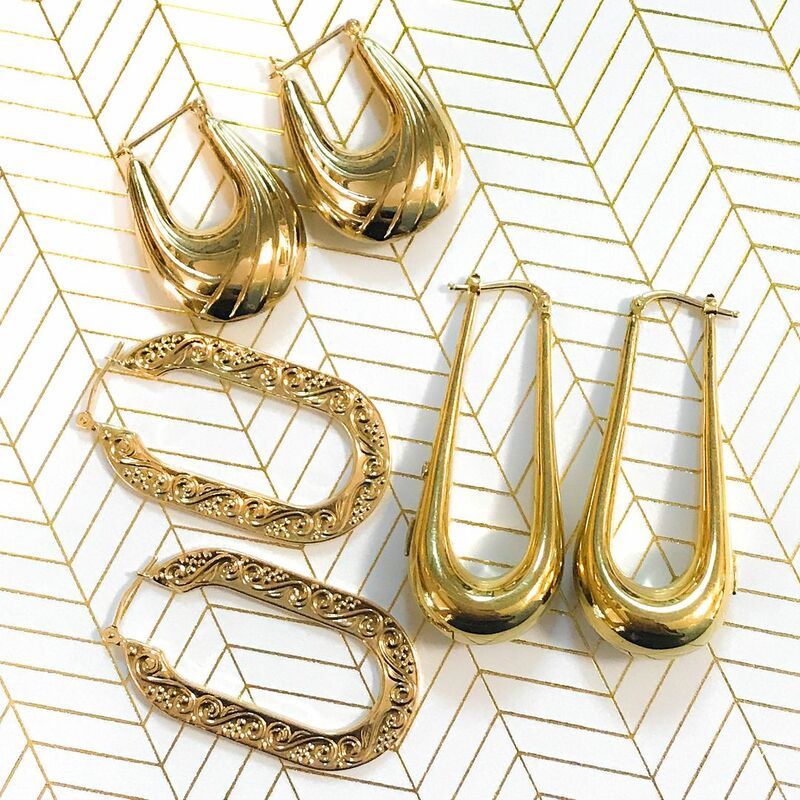 These interchangeable earrings are life-changing. Check out some of our selection ranging from $45-295. You have to come see these in person to really appreciate them. 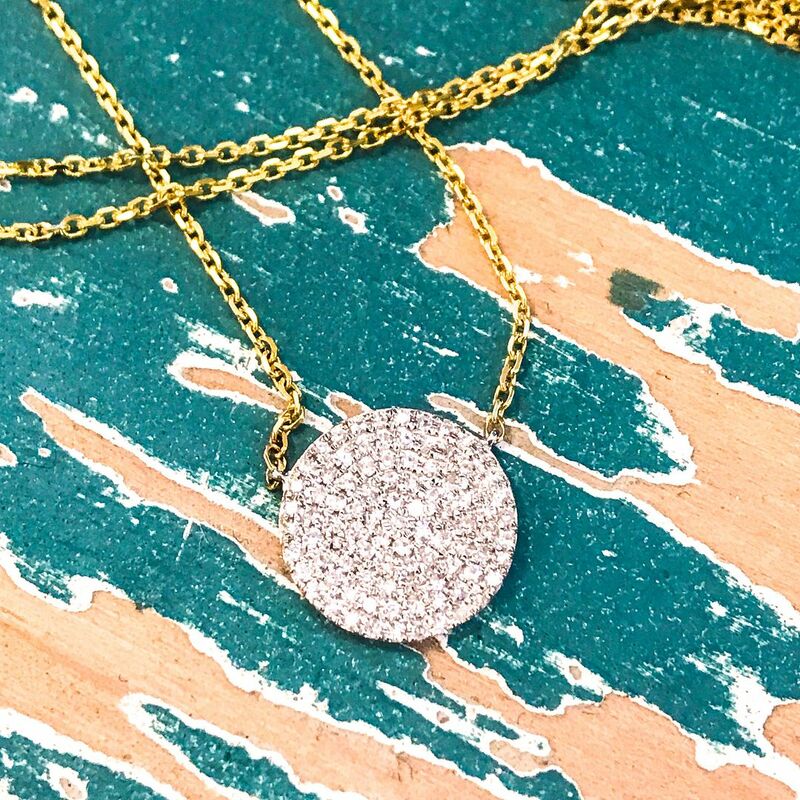 Treat yourself to this new Luvente .27 diamond pave 14k white gold pendant on a 14k yellow gold adjustable chain, $625. Meghan Markle found her prince…now it’s your turn for a fairy tale. Look at some of these beautiful engagement rings just in on consignment. 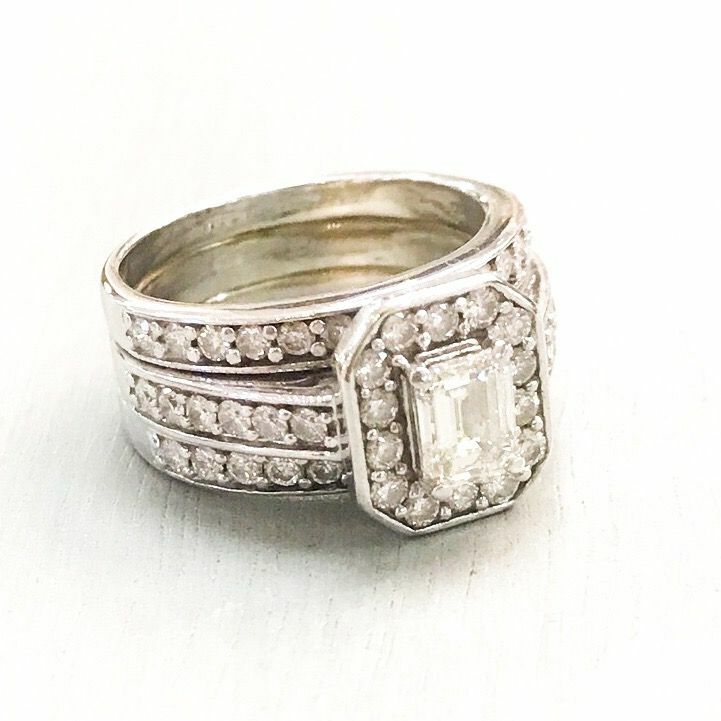 .60ctw emerald cut center stone diamond ring with 1.40ctw in setting and matching bands, $995. 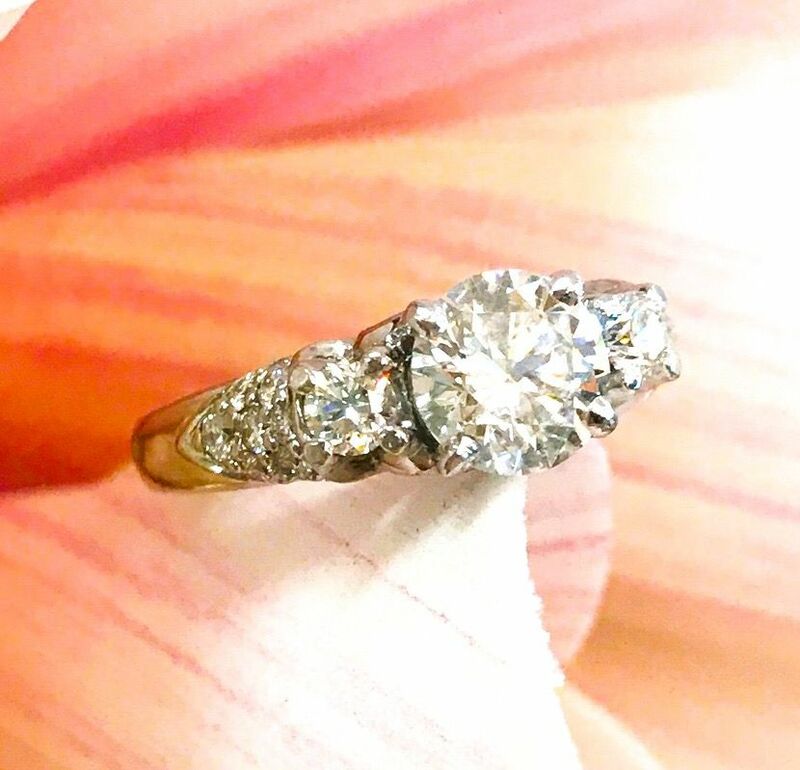 Diamond cluster ring with .35ctw G, SI2, center stone and .15 surrounding diamonds. .50ctw, $795. 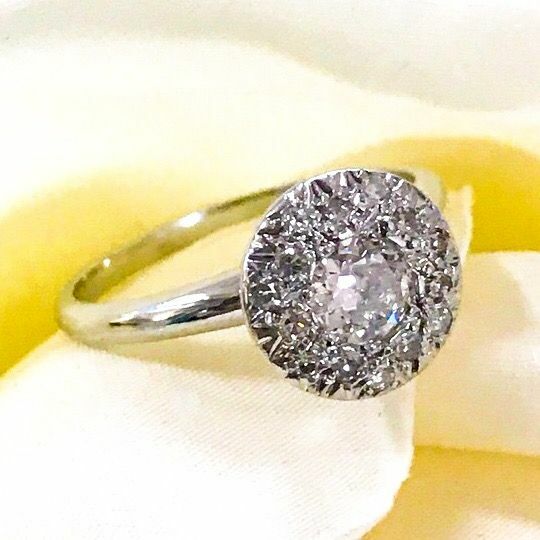 Scott Kay 14k white gold setting, $7495. Did anyone see the stunning aquamarine ring Meghan Markle wore as her something blue? Get the look here at Lumina Gem with this 18ct aquamarine cocktail ring accented with 1ctw diamonds in 14kw gold. Now just $5945.75. 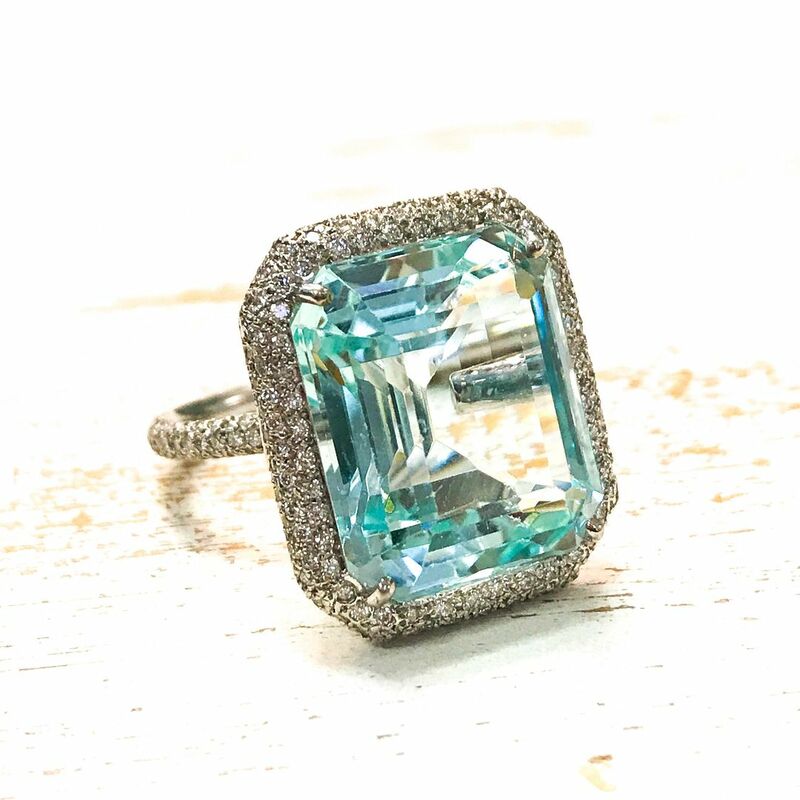 OR, this emerald cut blue topaz cocktail ring for a bit less at $695. 5.76ct Fantasy cut Aquamarine by Chris Wolfsberg set in a 1.34ctw diamond and 14kw gold setting, $6795. Something blue for YOU. Emerald cut blue topaz in sterling silver just in on consignment and only $150. 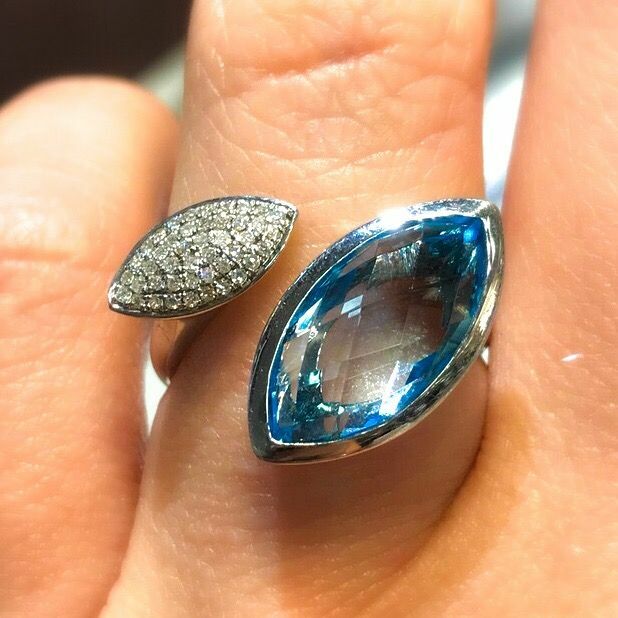 Blue topaz and diamond ring in 14kw gold, $985. (from top to bottom) 14k yellow gold hoops, $225. 14k yellow gold “racetrack” hoops. 1.25 inches in length, $235. Roberto Coin 18K yellow gold 1.75 inch long hoops, $795. Here’s that beach-inspired jewelry trend again. Can’t you just SEA yourself in it? 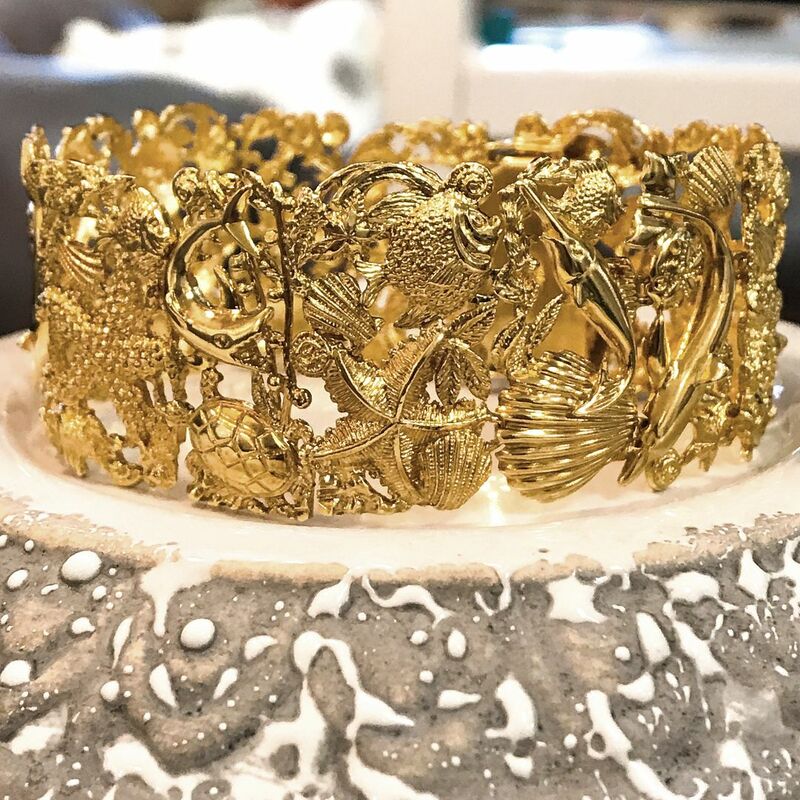 14Kyg Ocean Inspired Bracelet, 55grams, 8inch, $2545.75. 1.25ctw princess cut emeralds accented with diamonds in 18ky gold, $2155.50. 1.21ct emerald and .50ctw diamonds in an antique style 14kw gold setting, $1997.50. 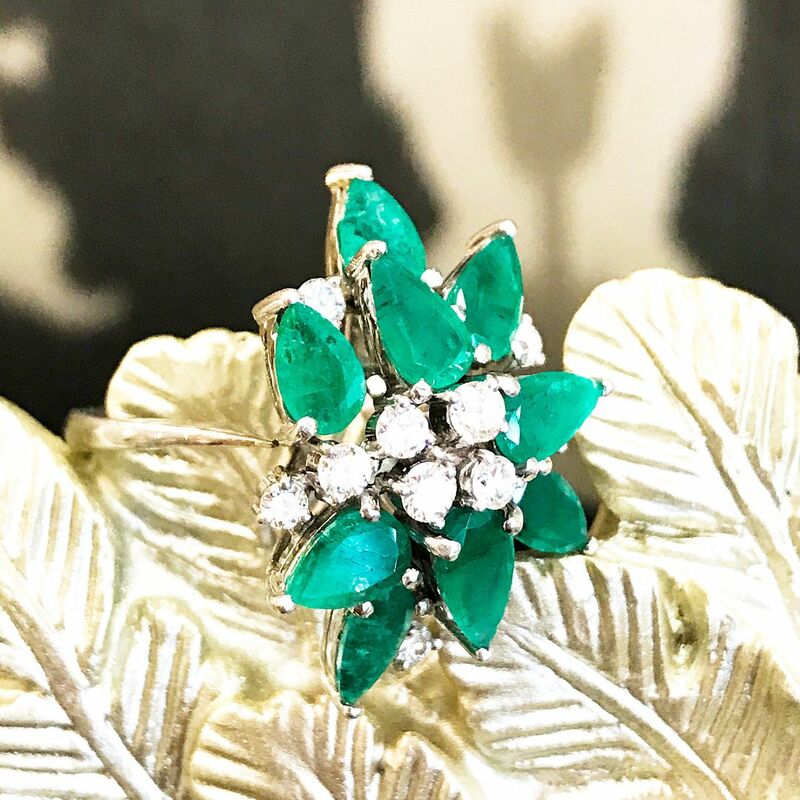 Emerald and diamond fashion ring in 14kw gold, now just $600. 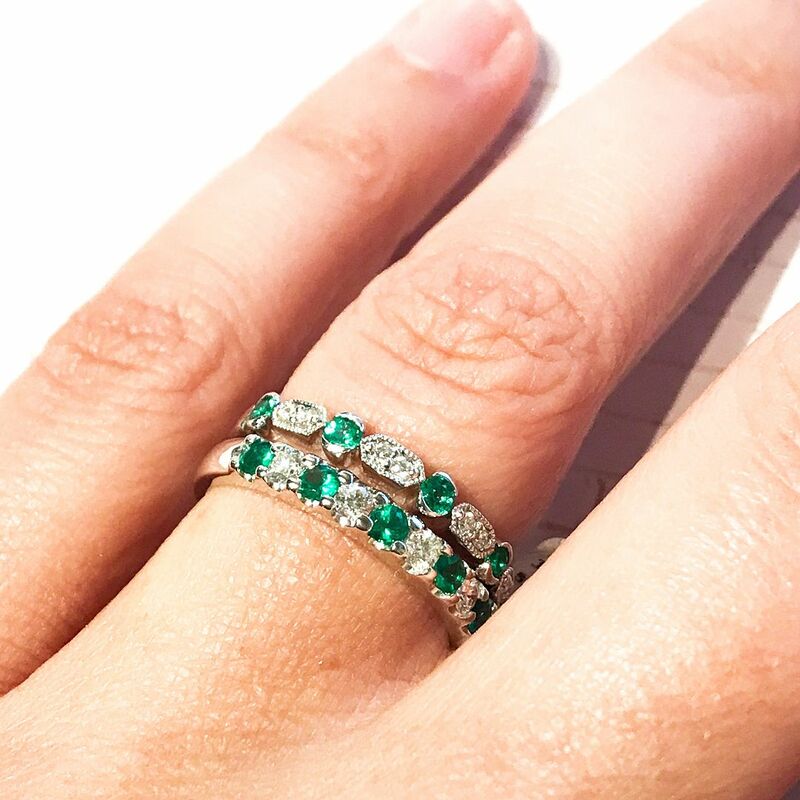 Go green with one these beautiful emerald and diamond wedding bands. 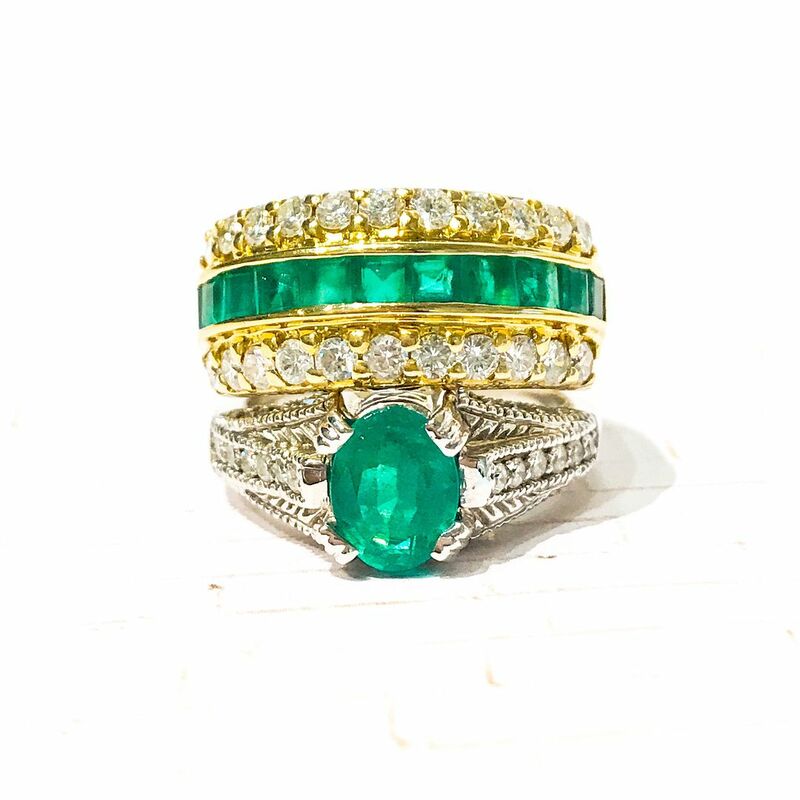 S. Kashi & Sons .28ctw emerald and .18ctw diamond band in 14kw gold, $1100. Roman & Jules .8ctw diamond and .19ctw emerald band in 14kw gold, $995. So DAINTY. 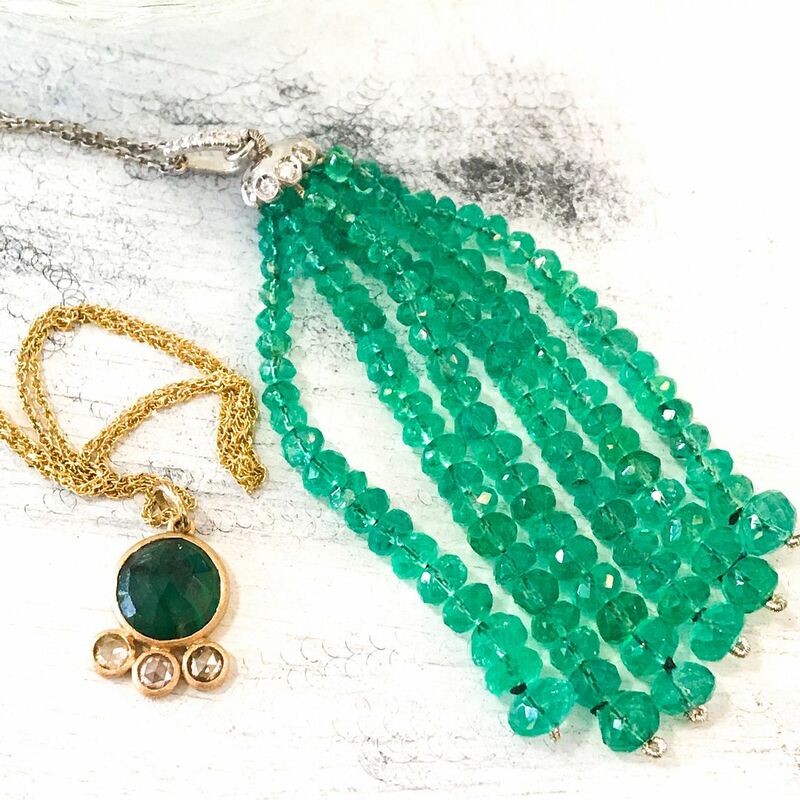 Emerald tassel diamond 14kw gold pendant, $1197.50 (50% off!). Emerald with biotite matrix and rose cut diamonds set into 14ky gold, 18 inches. $486.50. 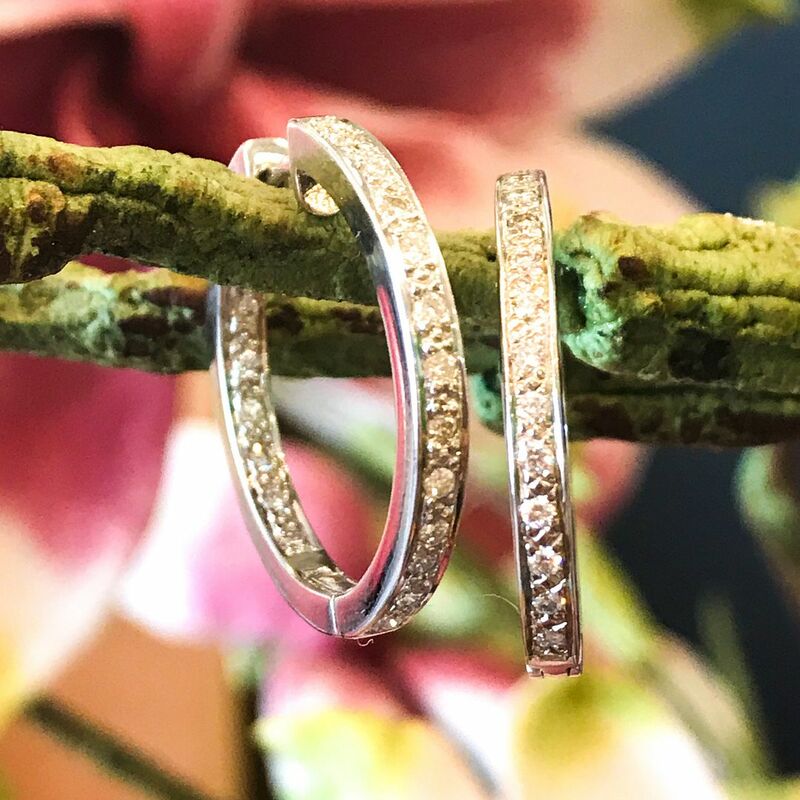 Can you spot the difference in these diamond hoops? We can’t either. A customer lost one of these sentimental earrings and was understandably upset. Lucky for her, Elliot was able to create an EXACT replica and she now has her lovely pair of earrings back 🙂 We’re very fortunate to have such talented jewelers! One spin per person. Some exclusions may apply.